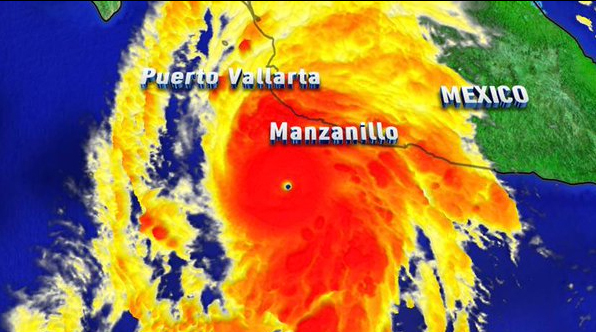 As the week comes to an end, Hurricane Patricia continues to build up steam off the Pacific coast of Mexico. What began as a super storm is now being heralded as one of the strongest hurricanes ever measured with “potentially catastrophic” consequences, according to the National Hurricane Center (NHC). As a Category 5 storm, residents of the Jalisco region can expect sustained winds upwards of 200mph, torrential rainfall, and a high risk of flash floods and mudslides occurring over the course of the weekend. While the storm is not expected to make its way up into U.S. territory, our military stands ready to assist the Mexican government with any relief efforts and humanitarian aid they may need. At 911 Restoration, we want to do the same! Here is some early information on what you can do to support the relief efforts and stay informed as the storm progresses through the weekend. While the worst of Hurricane Patricia will remain in central Mexico, the effects of the storm will still be able to be felt along southeast Texas and Louisiana. 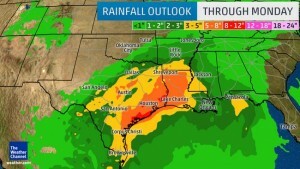 Areas such as Houston are already under flood watch due to the storm currently passing through, and Patricia threatens to increase the chance of rainfall over the weekend by at least ten inches. If you are currently in this area, please make sure you and your family are prepared! You can find information on what to do before, during, and after a flood here and follow our Houston Flood Facebook Group for more information on flood conditions and support in your area. Our thoughts and prayers are with everyone effected by Hurricane Patricia. Stay safe, stay informed, and stay positive – everyone has the chance to achieve a Fresh Start!